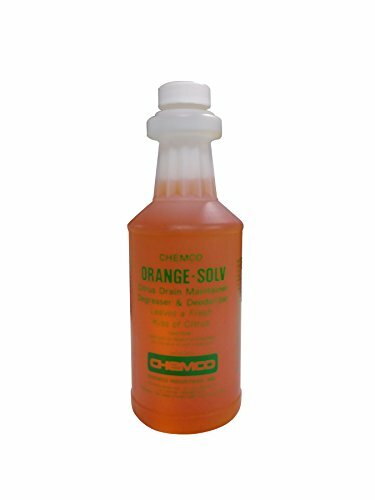 Industrial Drain Cleaner -Orange Solv Special By Chemco - Industrial Drain Cleaner - 2 Pints/Case - Orange Solv Special - Quickly dissolves grease, which becomes rancid & sticky holding hairs, rags & other wastes that clog drains. Heavy Duty drain maintainer and degreaser, replaces foul odors with a fresh kiss of citrus. Removes built-up deposits of food, grease, oil, gum, waxes and tar. Ideal for sinks, toilets, grease traps and floor drains. Also used on engine blocks, roofing equipment, etc. Totally organic, it will not affect BOD levels; contains no petroleum solvents. Industrial strength drain maintainer available for household use.